Home » Facial, Hair & Body Masks » Hair Mask – Having no shine and volume? Hair Mask – Having no shine and volume? Are you tired of your dull, dehydrated, frizzy, dry and brittle hairs? Having no shine and volume? Well, I have a quick home-made beauty fix for that. Put All the ingredients into the food processor and process. Massage the mixture into your scalp and apply it all the way to the tip of your hairs. Leave it on for 15 – 20 minutes and then rinse off properly. It’s as easy as that!!. 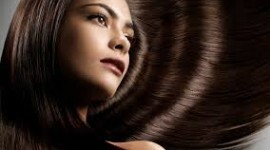 Your hair will feel soft, smooth, hydrated, shiny and beautiful like you:). Thanks for reading! Tell me how well did it work for you via comments. it’s this done before or after shampooing? is it ok with my keriatine hair…how many times I make this mask. What type of yogurt must be used?